Recognized Student Organizations (RSOs) are important to the function of student body. RSOs are able to apply for funding through the SGA Financial Oversight Committee (FOC) to attend conferences/competitions and take advantage of leadership opportunities. The President of these RSOs have a seat on the Presidents Leadership Council (PLC). In order for a group of students to use university facilities, such as rooms and bulletin boards, equipment or outdoor space, they must form an organization and receive official university recognition. Consult with the CSI staff and the SGA Director of Student Relations. This will help provide context for the proposed organization and can reduce an overlap of ideology between specific groups. Fill out an Application to Become a Recognized Student Organization (pdf). You can also obtain a copy by visiting the CSI, located in Blum 207, or the SGA, located in Blum 217. Find an advisor from the MWSU Faculty, Staff, or Administration. Your advisor must sign off on your application. Write a proposed constitution using the guidelines outlined in the RSO Handbook (pdf), using the sample constitution (pdf) as a guide. Submit your completed packet, with a copy of your proposed student organization constitution, a list of at least five members, and the name/signature of an advisor to SGA Office in Blum Union Room 217. Once all required materials have been submitted to the SGA, proposals for organization recognition shall be reviewed by the Administrative Coordinator for SGA and the Assistant Dean of Student Development. After the application has been reviewed to verify it’s complete, and the constitution meets all requirements, it will be given to the SGA Director of Student Relations. The SGA Director of Student Relations will present the request for organization recognition to the SGA senate. The SGA approval process is done in two (2) separate meetings. There will be a first reading for the requesting organization to tell Senate about their organization, followed by a second reading at the next SGA meeting for any final discussion and a vote. Finally, the legislation for approval or denial will be signed by the SGA President and the VP for Student Affairs. The SGA Director of Student Relations will contact the RSO President and Advisor to notify of approval or denial. This concludes the process for becoming a Recognized Student Organization. After SGA approval, a hard copy of the RSO’s Application, Constitution, and Advisor Form will be filed in the Center for Student Involvement, Blum 207. There will also be an electronic version available. Please contact The Center for Student Involvement’s staff for access or to update the RSO’s information. The Organization itself will be responsible for keeping a personal copy of its Constitution. The President/Elected Board/or Designated Representative of the Organization will be responsible for notifying the Center for Student Involvement and SGA of any updates to the Organization’s Constitution, Leadership changes, and Advisor changes. A new Advisor Agreement Form (pdf) must be filled out for every new President and Advisor. This is to ensure the RSO’s information is correctly updated and that the Advisor is aware of the updates. A new Advisor Agreement Form is also required by beginning of classes of the Fall Semester. You must reserve a room or space to host official meetings on campus. You must also reserve a room/space to hold any kind of program on the MWSU campus. The President of the RSO may access the Room Reservation portal here. Only the President of the RSO may reserve rooms. This is to keep multiple requests for the same RSO or program from congesting the Room Reservation system. 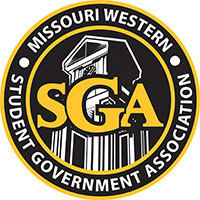 Read the Official Handbook for MWSU Recognized Student Organizations (pdf). The RSO Handbook outlines in detail every step a RSO must take for fulfilling its organizational duties at MWSU. Your organization is required to send a representative to the President’s Leadership Council on the 1st Wednesday of each month in the Spring & Fall Semesters. Registered Student Organizations who need to reserve a room can click the button in the footer of this page that says “Reserve a Room.” You will then be able to reserve a room by filling out the reservation form. If you have any issues, please call (816) 271-4150.